Recently, the well-known Chinese smartphone manufacturer, of course, I am talking about none other than Vivo who just teased a curious solution to avoid the notch on the screen. 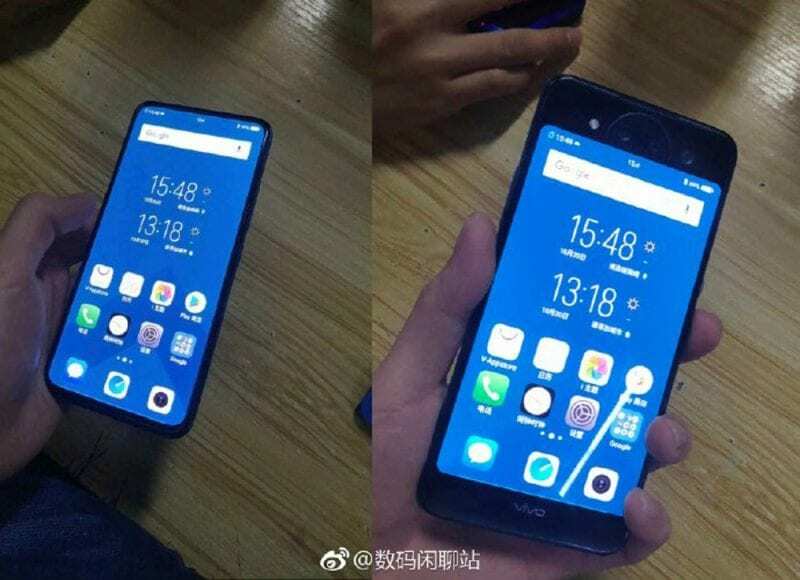 Yes, the well-known Chinese smartphone manufacturer Vivo to launch its first dual-display smartphone with no selfie camera and never seen features. The all-new leaked photographs of the so-called Vivo Nex 2 that were arrived on the Weibo social network simply showing some major changes that will simply revolutionize the flagship smartphone market. 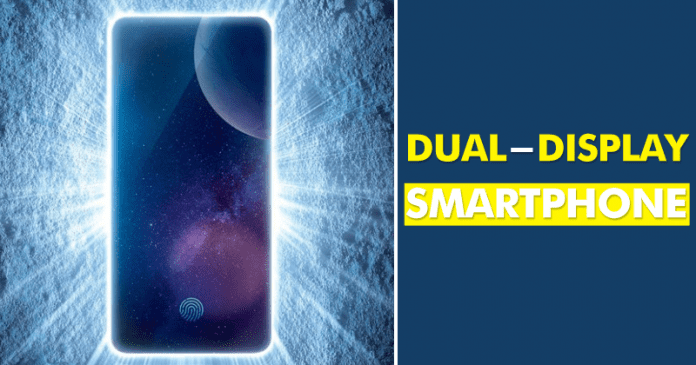 As the images reveal a smartphone with a double screen, one strategically placed in the back, as an innovation to avoid the notch in the main screen and to eliminate the front camera at a single stroke only. While the Meizu Pro 7 was one of the well-known smartphones to put into practice the placement of a second screen on the back of the case, as we could say that Nubia recently polished this concept of design and functionality with its all-new Nubia X. Now, the well-known Chinese smartphone manufacturer, of course, I am talking about none other than Vivo seems to follow this path with the next presentation of Vivo NEX, of course, NEX 2. At the beginning of the year, the well-known Chinese smartphone manufacturer, of course, I am talking about none other than Vivo surprised us with one of the most innovative designs to give life to an all-screen smartphone. Yes, Vivo earlier this year launched its all-new Vivo NEX in which the screen really occupied almost the entire front space. The solution was to include a retractable front camera in the upper part of the housing. However, the well-known Chinese smartphone manufacturer seems to take a step further, but this time will not be as innovative as the first generation of NEX S.
Now, since this Vivo NEX 2 is expected to be presented sometime in December, the company seems, of course, Vivo interested in betting on the eye-catching concept recently revealed by the well-known Chinese smartphone manufacturer, Nubia with its all-new Nubia X. Yes, we are talking about the back screen of the Vivo NEX 2 which will feature a 5.1-inch OLED screen on the back so that the user can take selfies with the visual support of this secondary screen. In turn, the leaked images are accompanied by a series of associated technical characteristics, such as the size and resolution of the main screen. Moreover, the main screen will be of 6.39 inches OLED display which will have the FHD+ resolution. The second screen would also look like an OLED panel, although we do not have more details about it. Inside the smartphone, we would see the powerful platform of Qualcomm, a Snapdragon 845 SoC. In addition, the all-new Vivo NEX 2 would come with fast charging technology with a power of 22.5W. As we have already indicated, the highlight of this Vivo NEX 2 is in charge of the set of two screens. The second one is accompanied by a double rear camera together with an LED flash and what looks like a laser sensor. While it behaves as the main camera, the essence of the device would be the fact that the same double camera would do the functions of the front camera as well. A solution with which the manufacturer would avoid the so-called notch on screen and that would mean the passage of the retractable camera of Vivo NEX S to a more eye-catching system, without going through other alternatives such as those implemented in the OPPO Find X, Xiaomi Mi Mix 3 or even the Honor Magic 2 as well. So, what do you think about this? Simply share all your views and thoughts in the comment section below.